Epiphyllum laui is a fast-growing cactus. Stems are soft, shiny, up to 2.8 inches (7 cm) wide, crenate, with sparse hair-like spines, branching basally or laterally. Flowers are funnel-form, up to 6 inches (15 cm) cm long and wide, opening in the evening and remain fully expanded for two days, outer petals yellow, inner white. Fruit is oblong, up to 2 inches (5 cm) long, up to 1.2 inches (3 cm) thick at middle, pink when fully ripe. 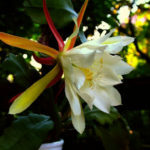 Epiphyllum are hardy to about 50°F (10°C), but require at least 60°F (15°C) during the growing season, so are best grown in a heated greenhouse, conservatory or indoors. Place the pots in bright, filtered light, with moderate to high humidity. To increase the humidity, position the pot on a tray filled with gravel and keep this topped up with water, but not enough so that the water reaches the surface. Epiphyllum cacti require sharply-drained growing media. Grow them in a standard cactus compost with added grit or perlite. Alternatively, mix three parts loam-based compost, with two parts grit or perlite and one part peat-free multipurpose compost. Overlong stems can be cut off or shortened. New shoots will usually develop just behind the cut. However, be careful not to overwater after pruning as the plant’s water requirements will be reduced. 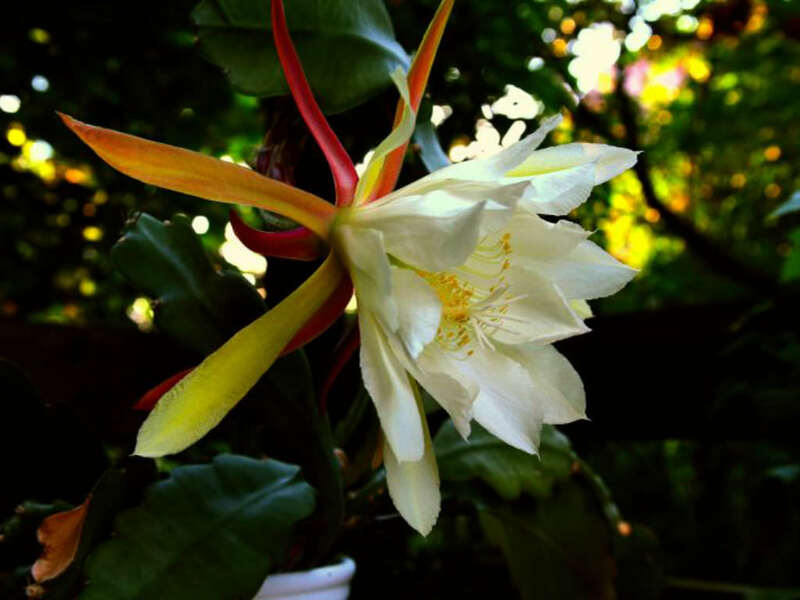 Large Epiphyllum can become unstable in their pots. Either repot in to a heavier pot, such as terracotta, or a wider container, such as a pan. 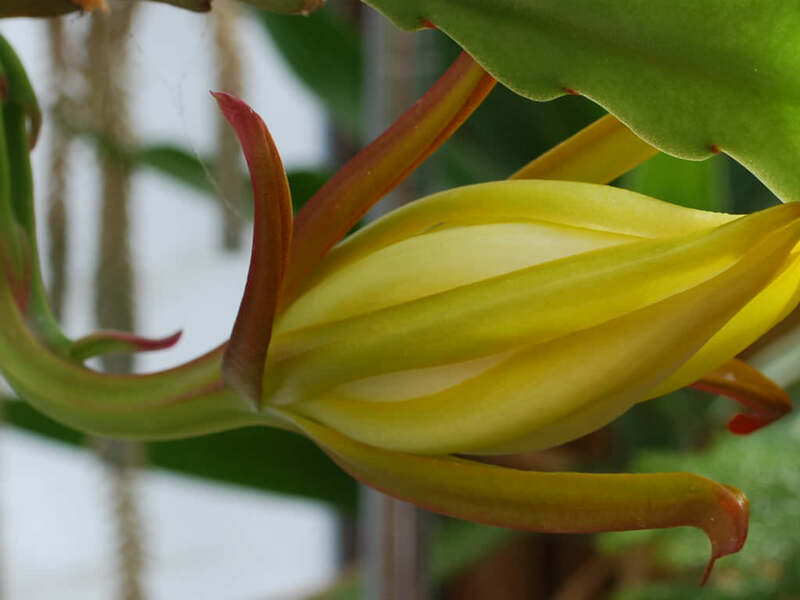 Alternatively, try using canes and tying the stems up, but this can look unsightly… – See more at: How to Grow and Care for Epiphyllum.